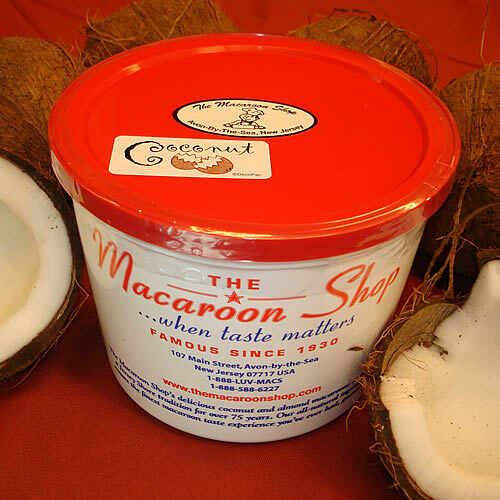 The Macaroon Shop uses US Postal Service (USPS) Priority Mail. USPS Priority Mail orders take 1-3 days to arrive at their destinations after they leave the bakery. USPS Express next-day shipping is also available. The Macaroon Shop will email the tracking number to you once the package is shipped. Macaroons can be stored in the freezer without losing their freshness, taste, and texture because they do not contain any flour. Many of our customers store them in the freezer and take a few out as snacks or party favors as they need. The macaroons thaw in 5 minutes and can last in the icebox for up to 6 months. You can always have them on hand, for yourself and your friends. Our macaroons are gluten free, wheat free, dairy free, lactose free, and free of trans fats.